The version 3.0 release of the Splunk App For VMware was a big deal. Not only was it a rather large undertaking, but also this became the second paid app from Splunk. (The first of course is Splunk Enterprise Security). For this event, there needed to be a t-shirt. The first choice for a slogan, now forgotten, was blocked by legal. 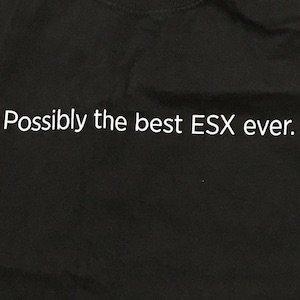 This slogan, referring to the older version of the VMWare Hypervisor, was coined by Dmitrii Zakharov was approved. 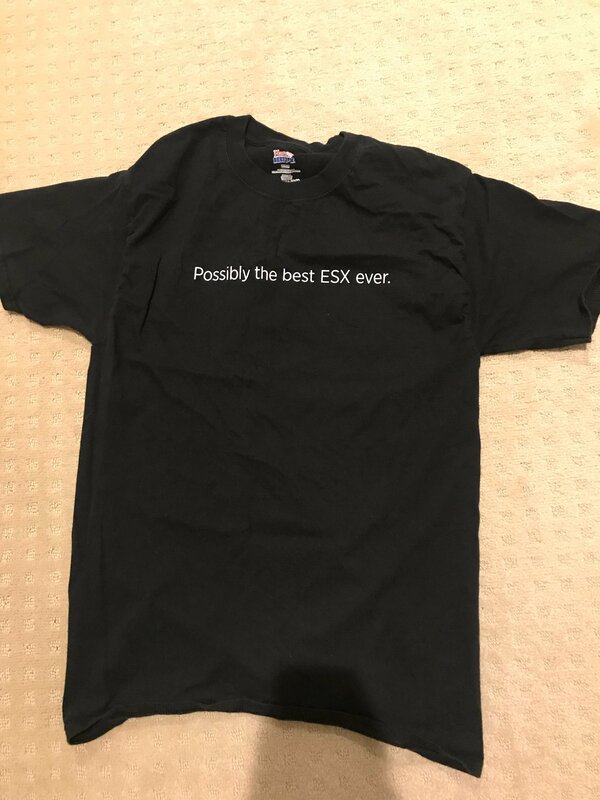 Later other slogans, including “I’m ESXi and I know it” were also approved, so it was decided to still print this ESX shirt, but keep it to a much smaller run.